A narcotics raid netted Edinburg police cocaine, Xanax and several rifles Friday morning, according to an agency news release. 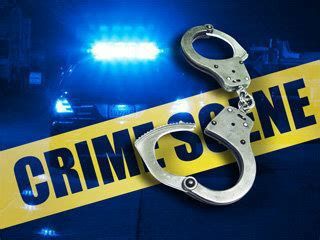 A vehicle was also among the items seized at a property located in the 4500 block of West Rogers Road around 9:47 a.m. Friday, the release read. Edinburg police spokesman Jesse Moreno has not returned calls seeking additional information. On Saturday, three suspects arrested in the case were arraigned on multiple charges. Gabrielle Nicole Nino was charged with possession of marijuana and given a $5,000 bond by Edinburg Municipal Court Judge Toribio Palacios. Her brother, Juan Laurensio Morales, was charged with manufacturing and delivering cocaine, and his bond was set at $50,000. Their father, Juan Laurenzo Morales, was in the hospital for unknown complications before his arraignment Saturday morning. He was charged with tampering with physical evidence, manufacturing and delivering and possession of a controlled substance. His bonds were set at $25,000, $50,000 and $5,000, respectively.